Censor was a Swedish demo and cracking group, who started on the C64 but later expanded their activities onto game consoles such as the SNES and Sega Genesis. They were formed in september of 1989 when Euzkera, Bob, Taito, Sensei, Psycho, Contring, Swallow, Guran, Shark, CRT and Dragon all left Triad to form this new group. Soon after, Squelch, Codex, Slaygon and Darklord also followed from Triad. Not long after the group was formed in 1989, Golem left for a career in Byterapers on the Amiga late in the year. Also Squelch and Darklord (bothdev ex Triad) left, to join Sector 90 on the amiga. In december, they received a new American board, THE GAME ZONE (in cooperation with NEC) and two new members, Derek B/Success and Unifier (no group). Derek B's stay was short, and he was out by january. No less than four issues of their young magazine Fatal News was released in the last two months of the year. In addition to all this, they also managed to launch a shortlived war with Light (more specifically Goblin) over some problems Censor had supposedly created at a party. It was over by january next year. Geggin/Mocean joined in december. The group co-organized Phenomena and Censor Party 1990 in january. In the instructions for their tool Contactdealer V3, released at the Bergen Party 1990 at the end of june, they wrote "Censor will have a copy-party in Gothenburg starting on the 9th of August. Call Geggin for more info." We expect that this date got pushed forward, and the party ended up being the Censor and Horizon Halloween Party 1990 in Gothenburg in november. 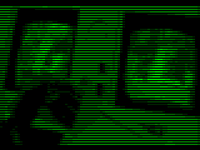 Swedish coder Unifier (ex Weird Science, new 11/89) was kicked around july 1990, and joined Flash Inc. Their long-standing 'war' with Fairlight was called off, and the two groups collaborated on a peace demo called Eye Damage in october. The september release Fatal News 7 announced Adolf (previously Toad/Motion) and Danko as new members. January of 1991 saw dutchmen Skater, Mirage and Zarhan Fastfive joining the group from Culture after that group died, bringing the paper magazine Shock with them. Swedes Danko and DAW left the group in 1991, but Danko later returned. DAW returned to his old group Triad. After the Horizon party at easter time, Dr.Cool (Daniel, ex Galaxy, new 12/89), was accused of stealing hardware and software from several participants, and was promptly kicked from the group. His friend Adolf then left, in an act of solidarity. Together the two formed a new group called Victims with ex-members of Dynamix. Censor then strengthened their memberstatus with Compus/Focus (swap) and White Lion (swap, who propmptly changed handle to Master Race) and Methabol (crack) from Omega (crack). Former Fatal News editor (and one of the original founders) Euzkera decided to leave for Science 451. The may diskmagazine Shock 1 reported that Euzkera left for Science 451, that Dr. Cool and Adolf left to help build the new group Victims, that Tycoon joined from Light, and that Methabol and White Lion joined. This was also the year they released their best demo yet, Wonderland 8. Shock editors Dutchmen Mirage (code gfx) and Skater (editor, both ex Culture, new 01/91) left early 1993, naturally taking the magazine with them. 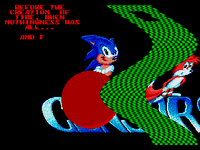 Censor started expanding into the console releasing scene, making releases on the SNES and Sega Megadrive/Genesis platforms at least in 1993 and 1994. When Victims slowly started to become inactive in 1994, Adolf rejoined to work on a game (Bouncy Balls) with Bob! Bob had his animation and paint utility Cenimate Bitmap Editor released commercially thru CP Verlag in 1995. In september of 2012, Lavazza was added as a new member of Censor Design on csdb.